Google constantly strives to perk up the user experience of its Chrome browser by adding new features. The tech giant is currently working on two nifty features, known as Heavy Page Capping and Download Home, that will help you control your data spend and better manage your downloaded files. Firstly, I know there would be many of you who get easily frustrated when a website does not load or get stuck in the middle due to a slow Internet connection. This is bad and the tech giant is now testing the Heavy Page Capping feature, a solution for this hiccup in the Chrome Canary build on Mac, Windows, Android, Chrome OS and Linux. This feature, first spotted by Chrome Story, will warn users when they try and load a heavy website that requires more than 1MB. It would display a notification at the top saying that a website you’re trying to load is too heavy and then provide you with options to stop the loading. 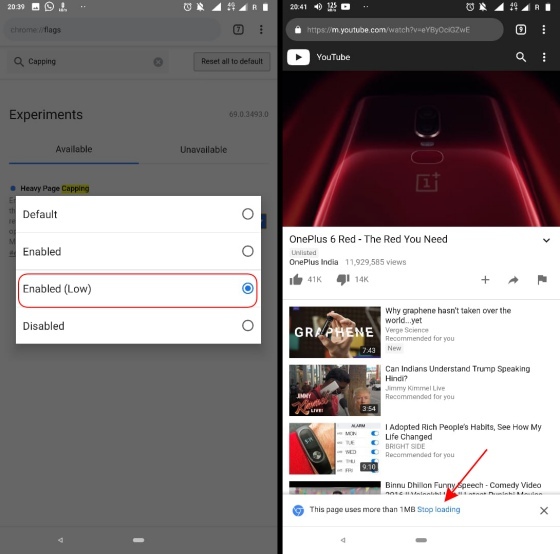 This feature is enabled by default in the Canary build, but you have two other options to choose from – Enabled and Enabled (Low) in Chrome flags. The former only alerts you of high-data use, whereas the latter caps the data usage at a 1MB threshold. It just sounds like a great new feature, which is currently half-baked. Google is also working to improve the download feature in the Chrome browser. 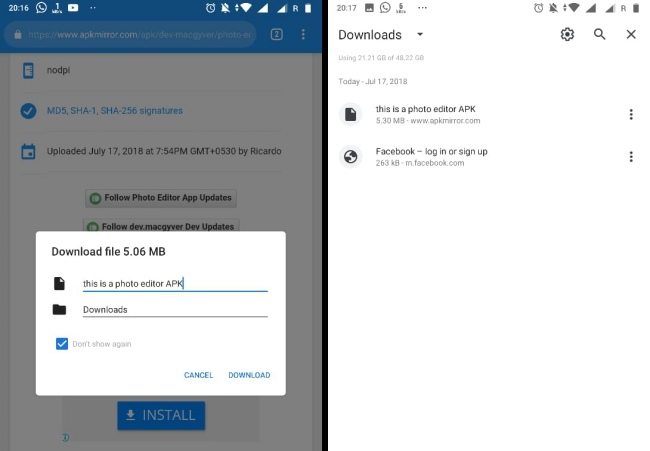 As per latest activity in the Chromium Gerrit, Google Chrome on Android is looking to offer the users the ability to rename files and choose the destination folder. Spotted by the folks over at XDA Developers, this feature is available in Chrome Canary (build #69.0.3493.0) on Android and we tried out the same while downloading an APK. Your browser automatically downloads and saves all files in the “Downloads” folder by default. When you start to download something on Chrome Canary, you’ll now see a pop-up with the option to rename the file (as I did) and choose the location where you want to save a file. Well, the latter only showed me the download folder, so there was surely something wrong with it. This will, however, be a great feature to have to help you out in managing your downloaded files. Both of these features are currently being tested with the developer, with no mention on when it’ll reach all users via the stable build. Until then, you can certainly install Chrome Canary to try out these new features.